NASHVILLE, Tenn.— The Winter Jam Tour Spectacular and Pepsi MidAmerica have joined forces for one of the largest Christian music marketing initiatives in the history of the beverage industry, it was announced today. 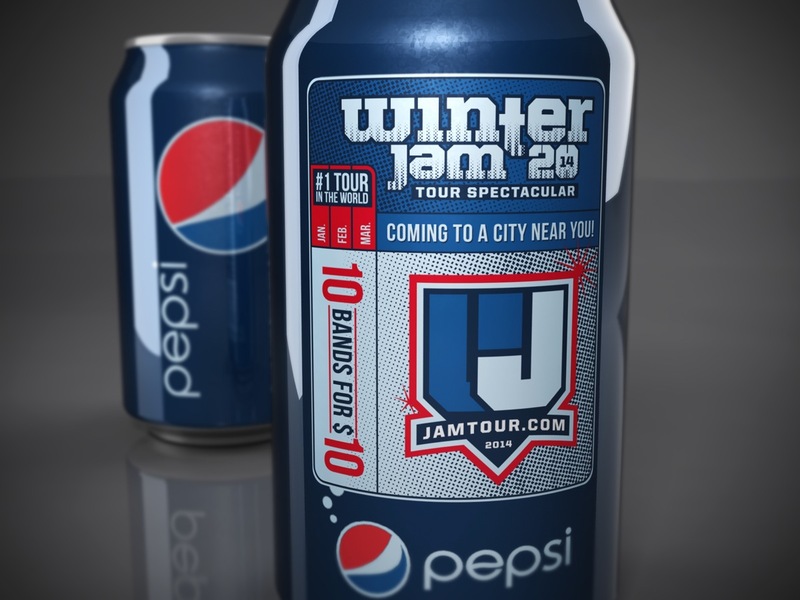 The official soft drink of Winter Jam, Pepsi has signed on as a sponsor for the Winter Jam 2014 Tour Spectacular and will distribute more than 13 million Winter Jam-branded cans in a 13-state region beginning later this year. Along with a major regional radio campaign and comprehensive social media strategy, the beverage giant is slated to feature Pepsi/Winter Jam displays in 120 Casey’s General Stores in the Midwest, promoting Winter Jam and Pepsi’s Ultimate Fan Experience Contest. Since creating the Winter Jam Tour Spectacular in 1995, GRAMMY®-nominated NewSong continues to oversee the exponential growth of this unprecedented tour, which is promoted by Premier Productions. For the third consecutive year, Winter Jam topped Pollstar's Worldwide First Quarter Ticket Sales Charts - Top 100 Tours, surpassing all other 2013 first quarter tours. Winter Jam West is slated to hit 11 Western cities this fall, headlined by multi-GRAMMY®-nominated Newsboys. Once again boasting many of the top names in Christian music, Winter Jam West kicks-off in Los Angeles November 8 at Ontario’s Citizens Business Bank Arena. Pepsi MidAmerica is located in Marion, Illinois, and distributes quality beverages in portions of Illinois, Missouri, Arkansas, Kentucky and Tennessee. For further information, visit www.jamtour.com or www.turningpointpr.com.